People watch one billion hours of YouTube per day. Per day. That’s a ton of eyeballs — and a ton of potential leads for your real estate business. 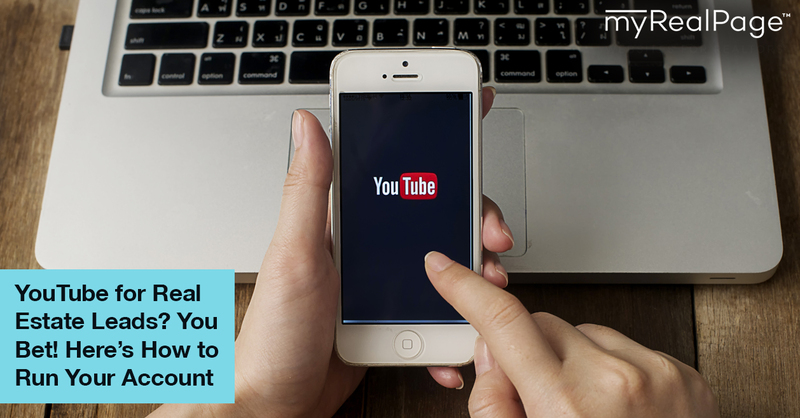 But without adopting some key YouTube marketing strategies and best practices, your YouTube channel isn’t likely taking advantage of all that potential. 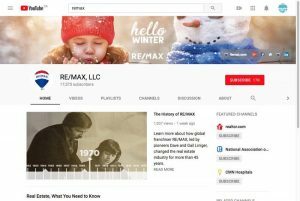 Read on for the most essential tips and tricks for turning your YouTube channel into a lead-generating machine for your real estate business. Whether your branding is effective or not comes down to consistency. Your website, newsletters, business cards and social media channels — including YouTube — should all look and sound pretty similar. Your YouTube channel allows for a banner image (at the top of your channel’s homepage) and a profile photo that accompanies everything you post. Your profile photo should be a crisp and clear (not pixelated!) version of the headshot that you’re using on your other properties. Voted York Region’s top realtor in 2015! SEO best practices aren’t just for your website. You need to employ them on your YouTube channel, too, if you want the right people to discover your videos. This means incorporating the best possible keywords in your video titles, descriptions and tags. First thing’s first. You need to tell search engines about the content the video contains, starting with the video title. Before naming a video, do an analysis: search YouTube for keywords or phrases that describe your video, and see what else is out there. Search Google too, to see what comes up. As you type in both search bars, take note of what the autocomplete function recommends your search phrase be. For a more advanced tool, try Google’s Keyword Planner. You want to find the sweet spot between keywords that people are searching for, and keywords that have been used so often that it would be nearly impossible for your video to be discovered. Keep your video title to 70 characters or less (including spaces) to avoid having it appear shortened in search results, and aim to use the keyword near the very beginning. The description accompanying each of your videos should contain the same keyword included in your video’s title, ideally in the first sentence and once more in the rest of the text (which should be at least 100 words). The description should first and foremost describe the video and, near the end, it should include a brief summation of you and your business. And… as always… include a link back to your website (of course!). Adding tags to each of your videos is key to being found and ranked in YouTube search results. Cards — which will officially replace YouTube’s original annotation feature as of May 2017 — are a way of delivering on-screen calls-to-action to your viewers while they’re watching your video. or a poll you’d like your viewers to participate in. You can include up to five per video (though, for a short video, that many would likely feel like overkill). Cards are a great way to get your viewers to watch additional videos on your channel, or to visit your website for additional content. They even work in mobile view. A word of wisdom: include cards near the end, not the beginning of your video. You don’t want to direct your viewers elsewhere before they’ve hardly seen your video. Video thumbnails may not strike you as important but think about it: in addition to your video’s title, they are what draw a YouTube user to click your video. Pixelated, unclear and empty thumbnail images scream low-quality. You could choose a frame from your video to serve as its thumbnail but it’s rare that the samples picked out by YouTube’s video manager are strong enough. Instead, try designing custom YouTube thumbnails for your videos for more control on what viewers see. You can use one of the many online image editors available, or hire a graphic artist for the task. Once you’ve selected a good image to use, you can then upload it to YouTube and specify it as the thumbnail to be used. Try to keep your thumbnail style consistent for all your videos. This keeps your channel page looking professional and well-branded, and helps identify your content, as well as make it stand out. Great post. Cards are something new for us to get use to. Ref thumbnails, I have been struggling to find something quick to put together, not 20-30 minutes of fiddling with graphics. I believe canva is pretty good but again something else to learn. Anyone got a better site for thumbnails? Both mentioned sites come with filters and graphics specifically for making YouTube thumbnails, and also offer nice-looking templates to work with.